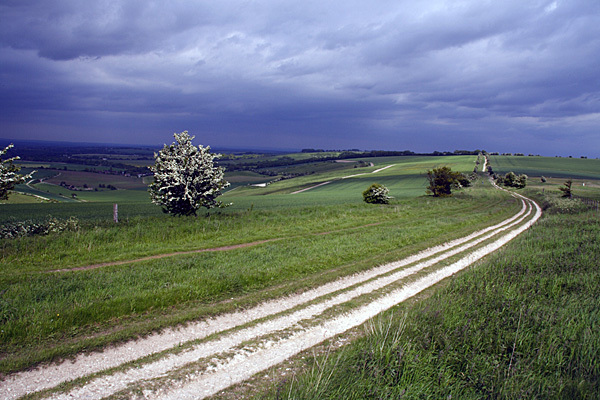 The Ridgeway Path runs along the crest of chalk downlands high above Wantage. Hardraw Force lies beside the Pennine Way outside the market town of Hawes. 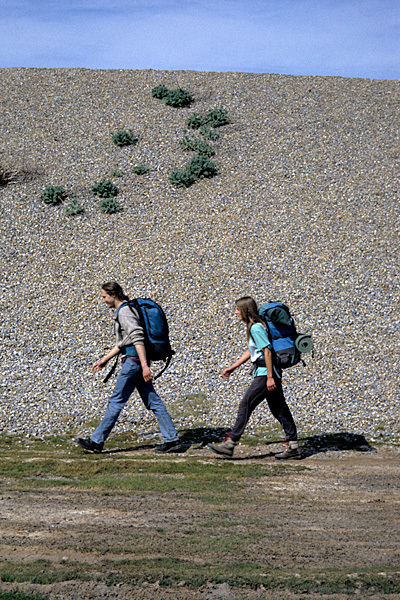 Walkers trudge beside a shingle embankment on the Norfolk Coast Path. This book grew from humble beginnings. A series of articles about the National Trails were being featured in Trail Walker magazine. The editor kept asking for features more and more regularly, until a point was reached when no sooner had one trail been walked, than it was time to walk another! As the number of National Trail articles increased, the magazine editor entered into discussions with a publisher, with a view to having everything re-written and reproduced in the form of a guidebook. 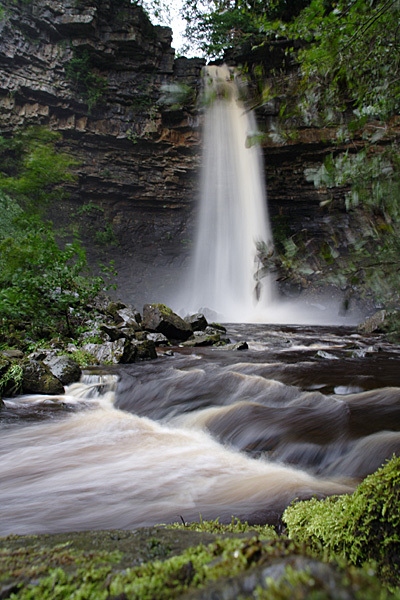 At first, only the National Trails in England and Wales were discussed, then Scotland was added, and at the author's request a selection of trails in Ireland were also included. By the time everything was contracted, the guidebook was planned to cover 23 long-distance waymarked trails in England, Scotland, Wales and Ireland, totalling 5950 kilometres (3700 miles). From the beginning to the end, it took two years to cover the distance, while at the same time juggling other magazine and guidebook commitments. It was a tough, but immensely enjoyable experience. The guidebook begins and ends with the two longest waymarked trails in the British Isles; the South West Coast Path and the Ulster Way. In a review, Choice Magazine said, "Paddy Dillon has walked every one of them, from start to finish... Well worth having to hand for reference before you start." In another review, the Lancashire Evening Post said, "A remarkably comprehensive guide... Bang up to date and well packaged." The guidebook has been out of print for some years, and has since been superseded by a new guidebook, published by Cicerone. Copies of the old guidebook are sometimes available on Amazon.